As more hospitals rely on technologies to carry-out their core processes, Emerson Network Power shared six tips for uninterrupted hospital care and service during extended outages. As more hospitals rely on technologies to carry-out their core processes, Emerson Network Power, a business of Emerson and a global leader in maximizing availability, capacity, and efficiency of critical infrastructure, shared six tips for uninterrupted hospital care and service during extended outages. Backup power systems have been extended to protect operating rooms and other critical facilities, allowing them to continue to function during outages. But hospitals also need to be able to accept patients during extreme weather events. Will parking lots and other exterior lighting be working? What about food services? In an extended outage just about every hospital system becomes critical. Many hospitals are turning to cloud-based services for data storage or application delivery. Not all cloud providers have the same high-availability infrastructure or business continuity plans. Your cloud providers are an extension of your IT department; their business continuity plans are your business continuity plans. How do you know UPS batteries are fully charged? Have facility teams practiced disaster events? Exploring what-if scenarios, such as a breaker failing to open or a generator failing to start, can improve contingency planning while testing and monitoring reduces the chances systems don’t perform as expected. Remote monitoring provides the visibility to enable a more proactive approach to system maintenance and can be used to test systems during off-hours, minimizing risk during peak hours. It also allows execution of contingency plans to meet challenges from an impending disaster. 4. Reexamine how long backup systems need to support the business. It is critical for healthcare facilities to be able to operate for days without power. Keeping food services and other support systems functioning is part of the solution. Another consideration is generator fuel. Not only do you need an ample reserve, you have to be sure you can access it during a disaster. 5. Don’t cannibalize backup systems to support growth. Many hospital data centers are now bursting with an influx of patient and imaging data, often consuming more power than may have been projected just two years ago. Has the backup power system kept pace or have “less critical” systems, such as lighting and cooling, been sacrificed to support growth? Backup power must be scalable enough to keep pace with expected growth while maintaining protection to all essential systems. Knowing what facility applications are aligned to which backup power system helps management prioritize in the event that they need to shed loads during a prolonged outage. 6. Your backup may need a backup. You won’t find a major financial institution that doesn’t employ redundancy in its backup systems. This same philosophy needs to extend to healthcare. Backup power systems protecting business-critical systems should employ some degree of redundancy so that the failure of one backup unit does not bring down the protected system. 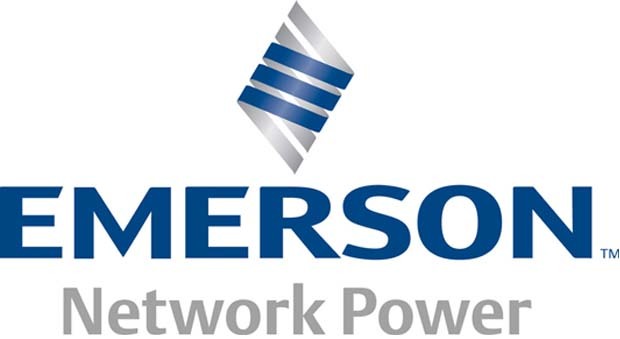 For more information on Emerson Network Power products and solutions that support business continuity, visit www.EmersonNetworkPower.com.